Mapstard is a timeline controlled, multi-input and multi-output, audio/video show and VJ software, available for Windows, Mac-OS and Linux. 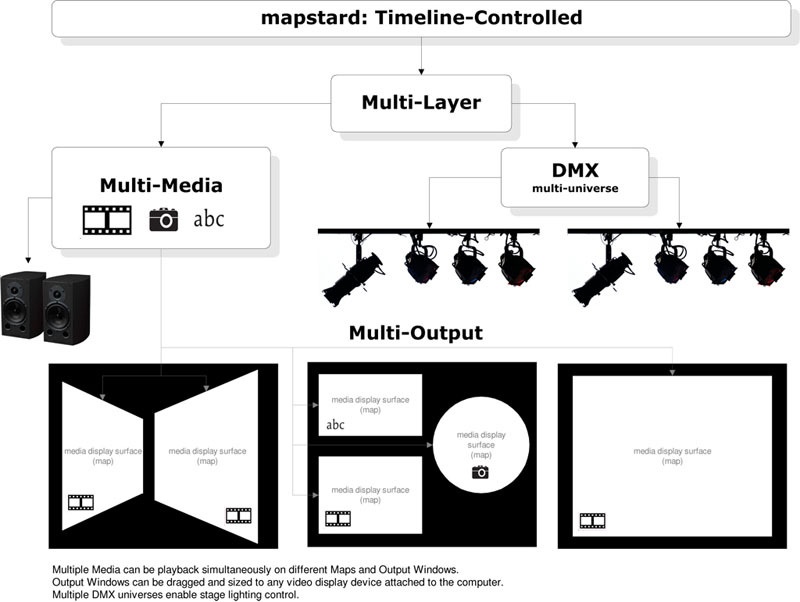 With mapstard's video output features any type of video device can be controlled: projectors, HD-monitors, led- and video walls, DMX lighting equipment. Mapstard's advanced mapping function includes highly customizable soft-edge, which allows to draw seamless projection surfaces on architectural objects, using multiple projectors of different type. Multiple media types such as videos, audio files, images, custom text, camera input, 3D models can be loaded and playback simultaneously on multiple projection surfaces trough different video output devices. 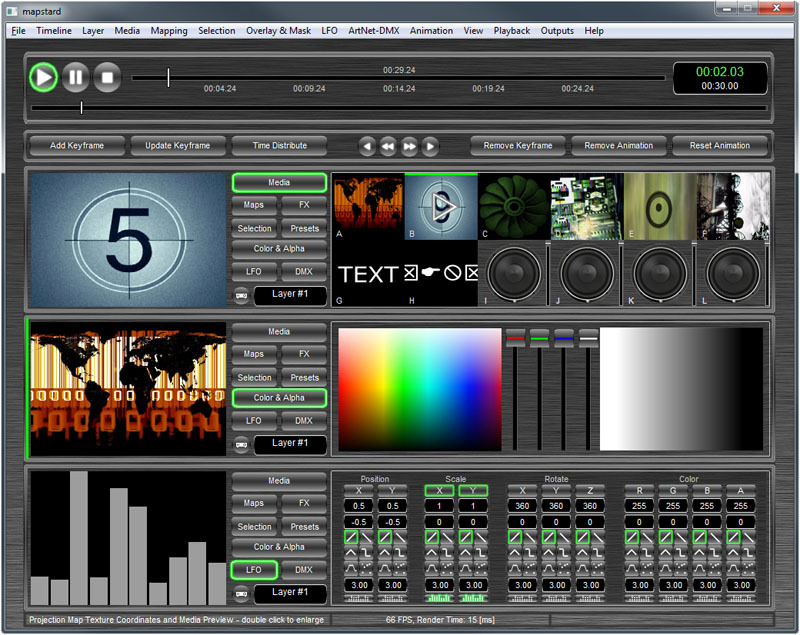 With the timeline controlled keyframe animation feature an AV show can be planned and rendered beforehand, or played back live using presets and OSC remote control. With the built in DMX functionalities, multiple DMX universes can be timeline controlled to include lighting in your AV-Show. Multiple projects can be grouped into playlists which in turn can played back timeline controlled.